HomeExertion Games Lab2 more awards for the Exertion Games Lab! 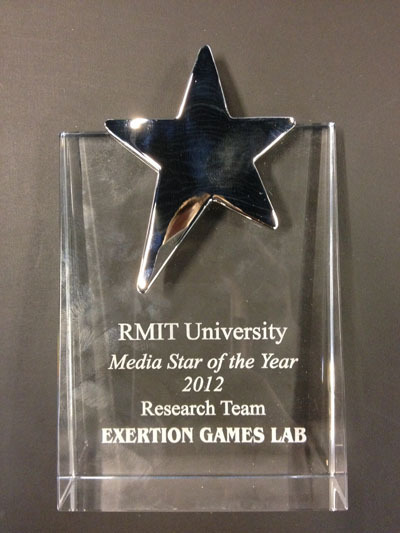 2 more awards for the Exertion Games Lab! 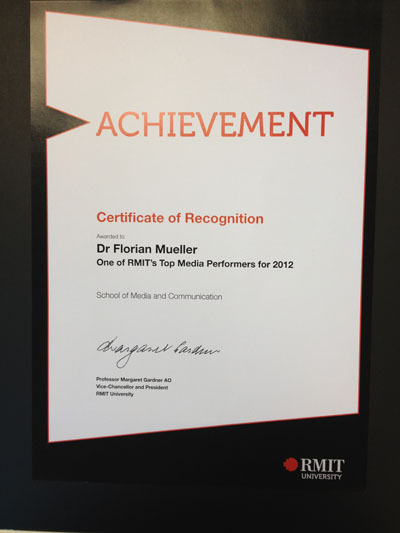 The Exertion Games Lab received two more awards: Florian ‘Floyd’ Mueller received a Certificate of Recognition for being RMIT’s Top Media Performers for 2012, and the entire team received the Media Star of the Year award in the category Research Team.